I have succeeded in my goal of wearing a minimum of one ‘Me-Made’ garment every day so far. I have not been so good at getting photographs – and some of the ones I have got are pretty awful (what can I say – the management is great at his job. His job doesn’t involve taking photographs). 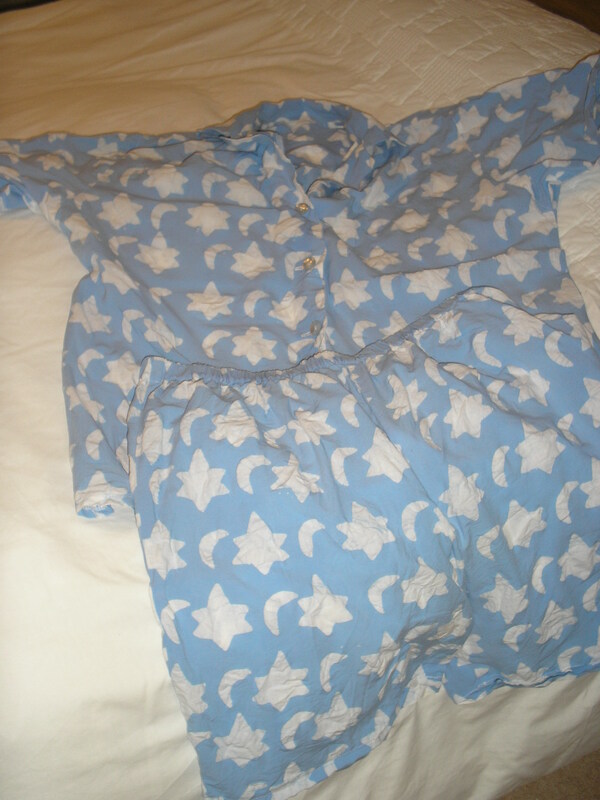 Moon & Stars PJs – 1st into 2nd! Day 1 was a self drafted T-shirt and a cardigan I knitted some time ago. 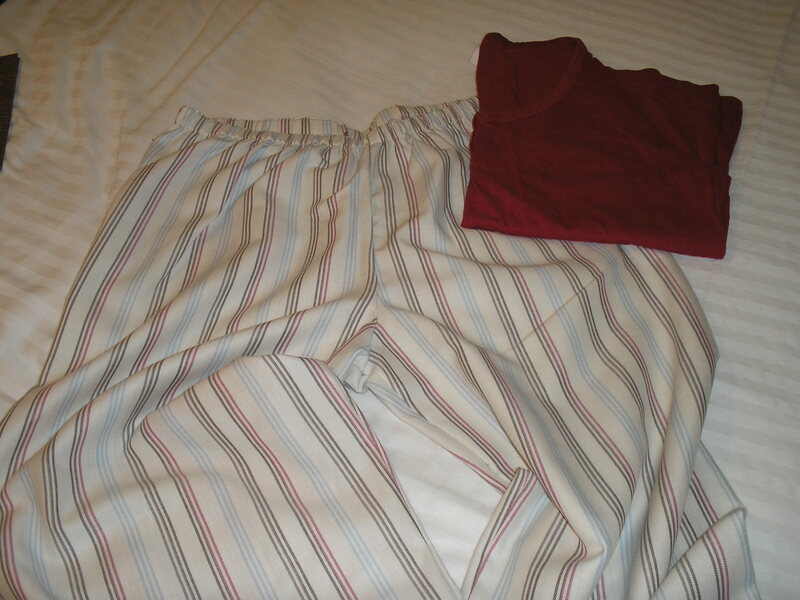 The PJ’s were made from and old Vogue pattern for the top and the shorts were a self draft. The pattern is MIA but when I find it I will edit this post. I wasn’t sure whether I should include this for the 1st or 2nd so they are in both. I wore this JAM 2011 jacket to the cinema with my friend ‘L’ (Salmon Fishing in the Yemen since you ask – much better than it sounds and it has Ewen McGregor). A day spent sewing for clients so this SAM and the Patrones jeans were just what I needed as a comfortable outfit I didn’t mind crawling the floor in. Pinning hems is not very dignified. Check out the sparkly silver Converse Hi-tops! I love them. 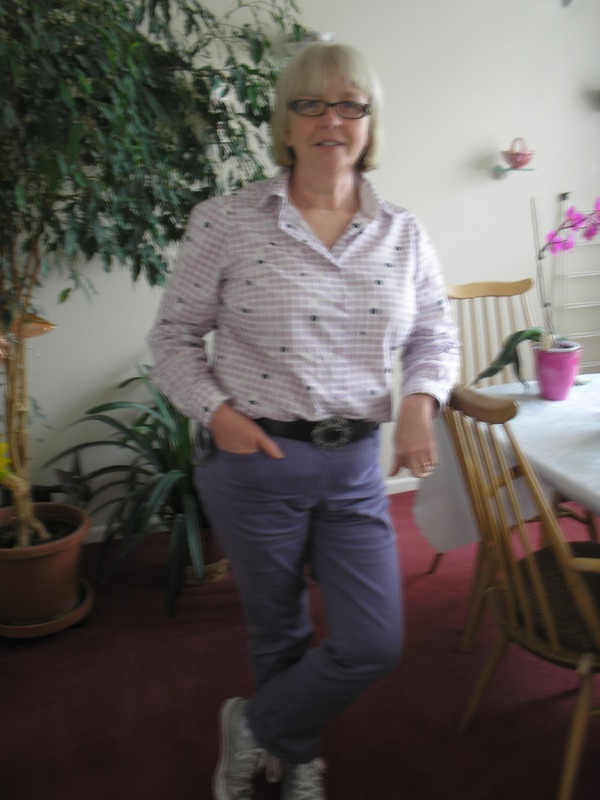 Another day sewing – but no clients so I made a very lazy choice and repeated the Patrones jeans with an M&S t-shirt. Comfy but not all that great. I have decided that this jeans pattern needs tweaking. Avoided a failure day by wearing the PJs that I made. I love my comfy PJs. 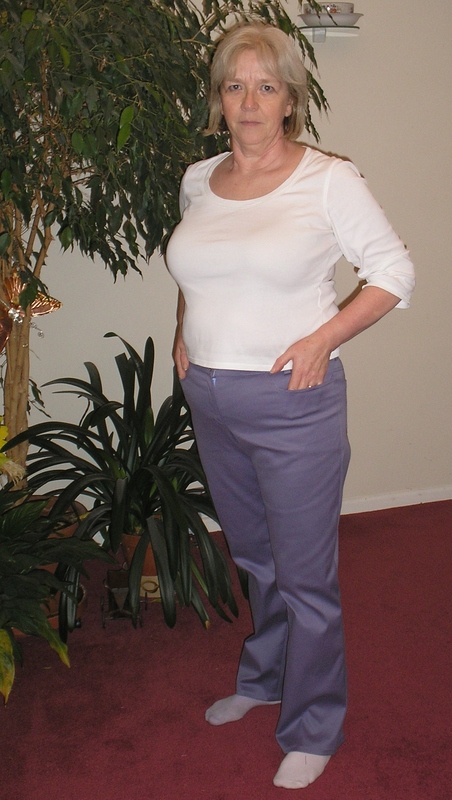 These jeans were from the same Patrones pattern as the lilac jeans – they are now an even worse fit than the lilac. I have been following a running plan (again) in an attempt to strengthen my bones. (Mother and Granny both had/have osteoporosis). Whilst I don’t think my weight has changed my body shape definately is. Because of that these are now strictly gardening jeans. And I hate gardening. And the 7th. Sorry can’t show you. Top secret. 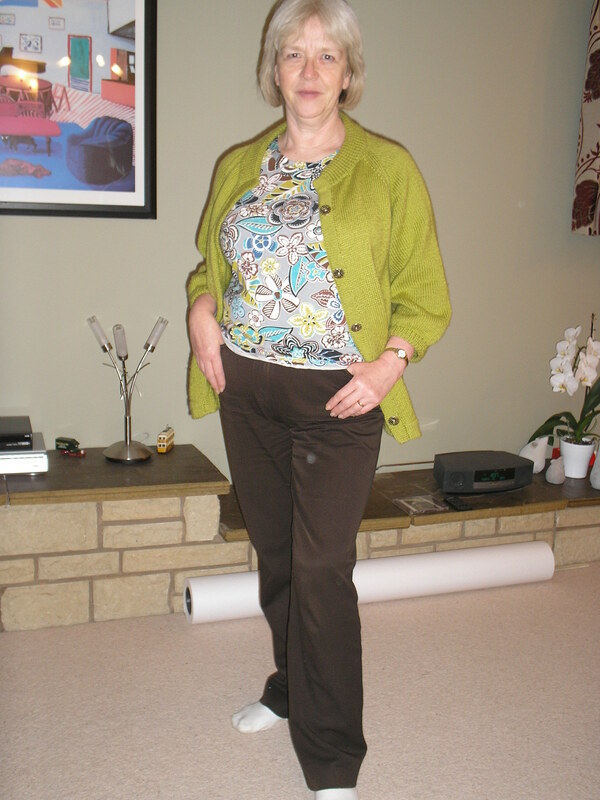 It was the Lean on my shoulder top that I made to try a pattern for Rhonda. When she gives the OK I will be able to give you all the info. Until then – sorry! Going well so far – and I may even get better photographs for some of the future days. But not for today (8th). Didn’t get one. And I am already in my PJs (yes – Me-made) because it’s my birthday so I can do what I want today! … ate too much, drank too much, did no sewing at all. As planned. I am now feeling a bit guilty for all the non activity and feel like planning the next move. But I haven’t shown you the Christmas prezzys I made yet! (Don’ t get too excited – it was a last minute thing – as usual). 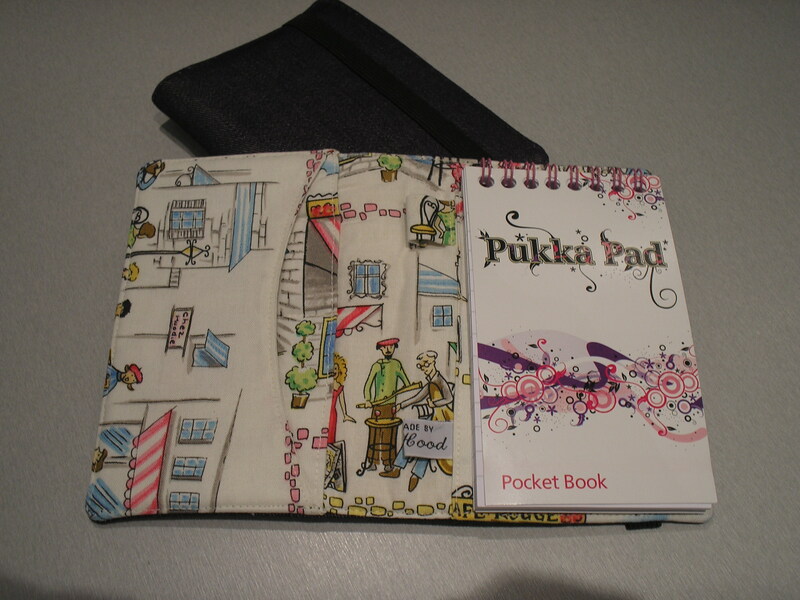 Purple Organiser Wallets'Chez Hoodie' - How perfect! 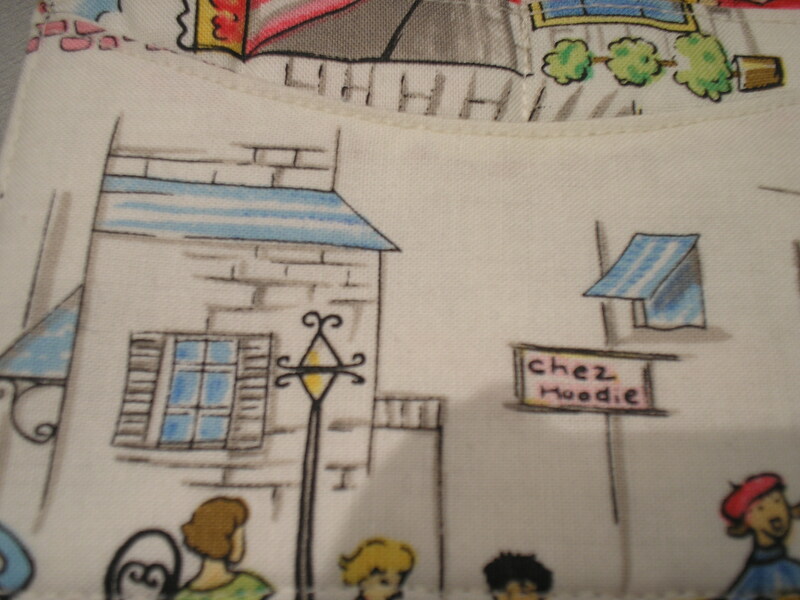 'Chez Hoodie' - How perfect! I have been looking at the thread on Stitchers Guild about sewing related gifts. 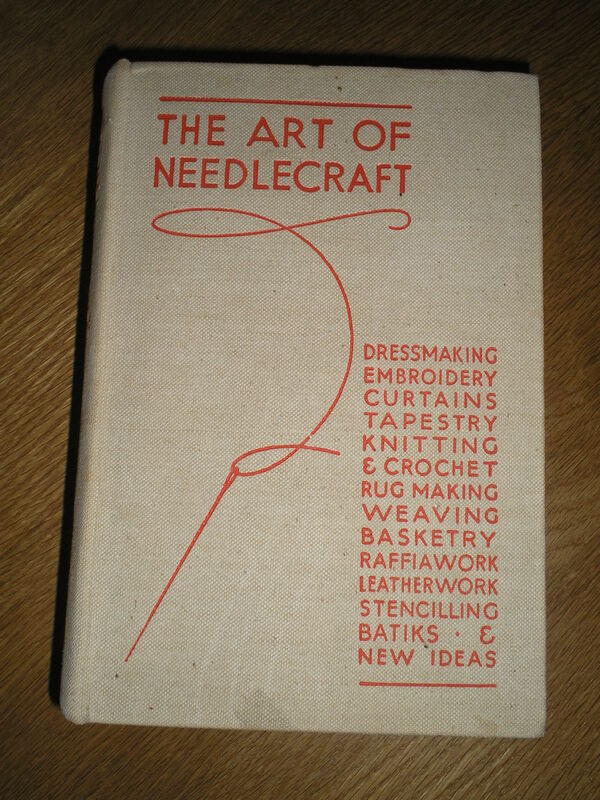 I don’t usually expect anything sewing related as everyone seems to think I would be difficult to buy for (just try! I’ll be happy – honest) but this year my husband found an old book which he bought thinking it might be quite amusing. I could hardly believe it when I opened the parcel – my mum had this book over 40 years ago and I used to enjoy thumbing through it even then. Kindles could never smell like this ! Looking back on 2011 I haven’t done as much sewing for myself as I would have liked but I have made some real steps in other areas. I took over ‘Material Matters’ fabric sales from Pamela in April and hope I have been able to serve my customers as well as she did. I am still on a very steep learning curve but hope to find next year easier now that I have some things set up on computer to ease the process. That was next, I have completed a computer course this year (and now have a Nationally recognised qualification to show for it!) which I did not find easy. All the knowledge gained is being put into use and I hope that I will continue to improve (watch the website – I am working on another tutorial online which may show some benefits soon!). I have failed miserably to complete 12 jackets in the Jacket a Month challenge – but I have 3 more jackets than before so I win anyway! Next year I hope to be able to improve my business and do more sewing for myself – it was one or the other this year. Lets see what next year brings. Slow Progress 4 – The final – McCalls 5860 finished! I worked this afternoon to tie up the last details on the McCalls 5860 Jeans jacket and have finished! I really underestimated the time that was needed to finish yesterday – but finished today within an hour. I am very happy with the jacket (though looking at the photographs I see I am going to have to move the bottom button a little). There is no-one home to take a photograph of me wearing it (but I like it!) so the model is wearing it. The pattern was very easy to follow – although I did change a couple of details. The collar and cuffs have been done slightly differently to the recommended instruction but overall I think it is well described, with clear instructions. I think I may make this again – but not for a little while as I think it would be good in a summerweight fabric. McCalls 5860 Front ViewLove the buttons! I am thrilled that I can move my ticker on to the ‘3’ marker – pathetic though that is. I might get started on a 4th jacket but I think that will be my limit this year. I will be sure to keep up the ‘last half hour a day for me’ routine as it is working really well. Bessie: So Kim, you should finish the jacket today? Kim: I hope so Bessie – there’s not too much left to do. Bessie: What exactly is left to do? 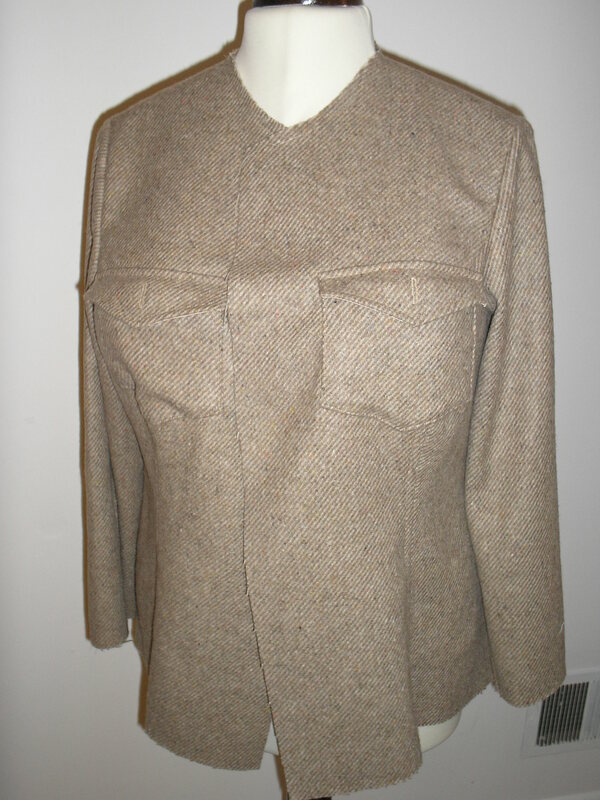 Kim: Sew on the collar and cuffs, facings, um, topstitching, buttonholes and buttons! Bessie: All to be done in an hour – impressive. Kim: Oh! I didn’t realise there was so much! Bessie: Optimism is wonderful but a bit of reality wouldn’t hurt Kim. P.S. The jacket is almost done. 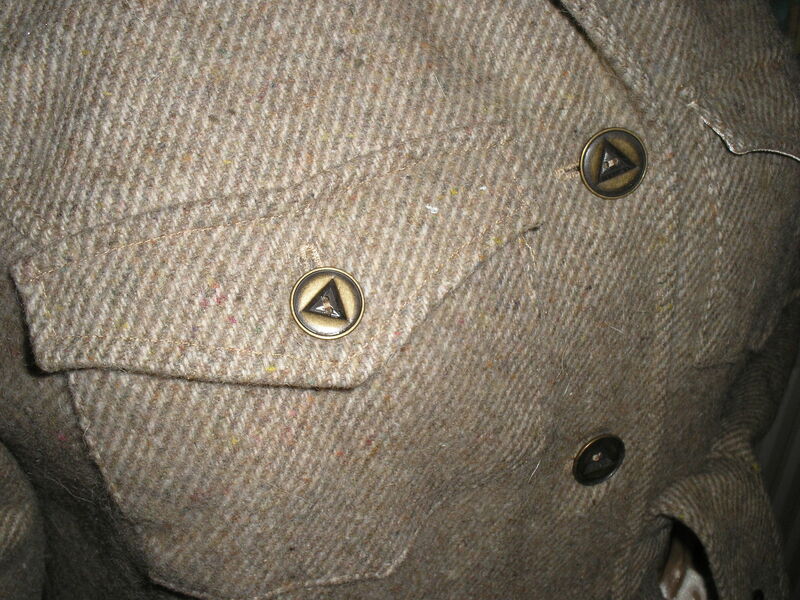 Just topstitching,buttons and buttonholes. May be finished tomorrow. I hope. I am still making slow but steady progress in my half hour slots on the McCalls 5860 jacket . 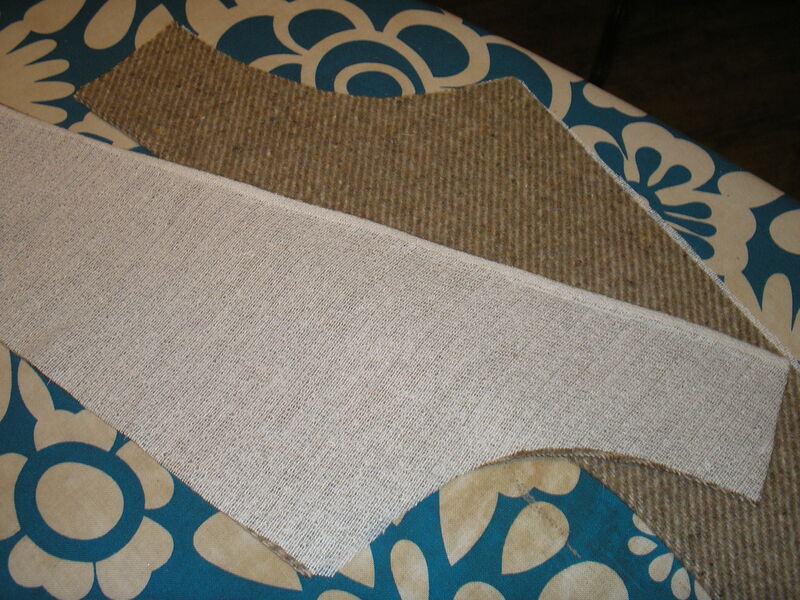 I have pressed the interfacing onto the main fabric where needed – I used Supersoft Superior (you can get this from The English Couture Company). 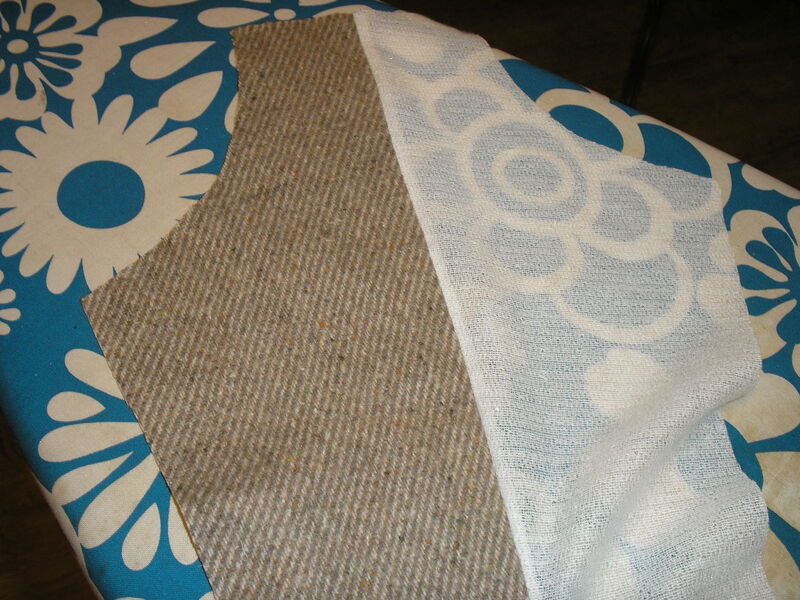 The photographs show how I sewed the pieces onto the facings before pressing in order to get a clean finish. Nice and easy. 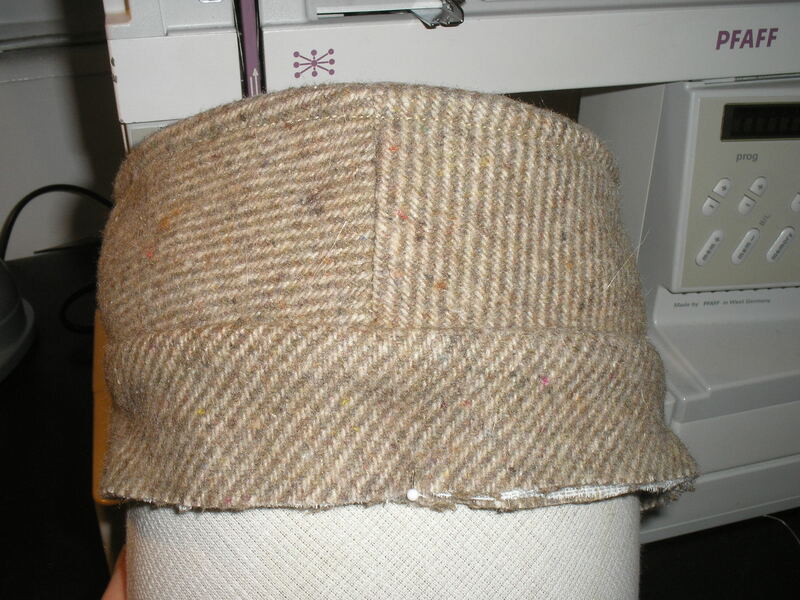 The collar was a place I varied from the pattern slightly. Rather than cutting two identical pieces I cut the under collar on the true cross and trimmed about 1/8th of an inch off all wound the outside edge to ensure it sat behind the top collar when turned.This was a process in one of the wonderful ‘tip’ boxes on this pattern – if only all patterns offered this sort of advice. I have left it sitting round Bessies neck to cool having been steamed. 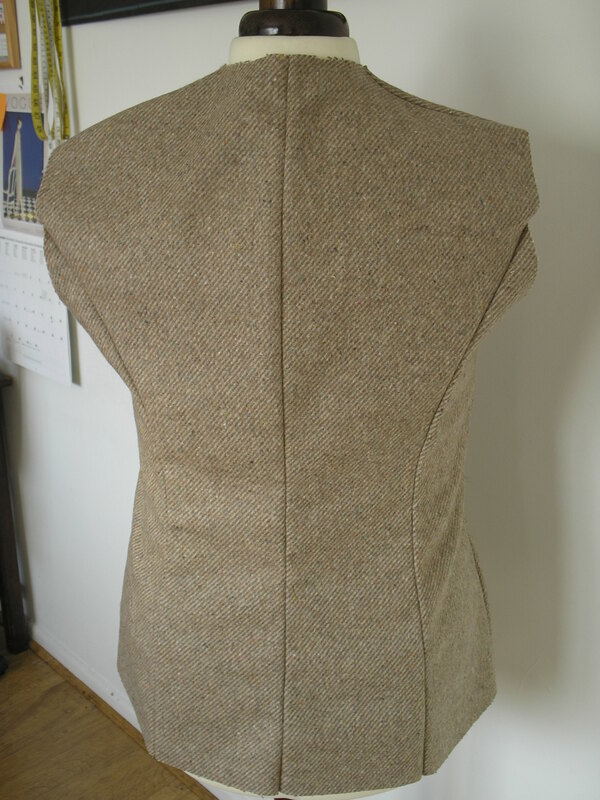 There doesn’t seem to be a lot left to do on the jacket – maybe if I allocate an hour tomorrow I will be able to finish? I hope so. The plan to sew a half hour for myself at the end of my client work is probably something I should have started ages ago. As predicted the progress is terribly slow – but even slow progress is better than no progress. Since my last post I have been able to sew the pockets and flaps onto the body of the jacket (now pressed and topstitched). 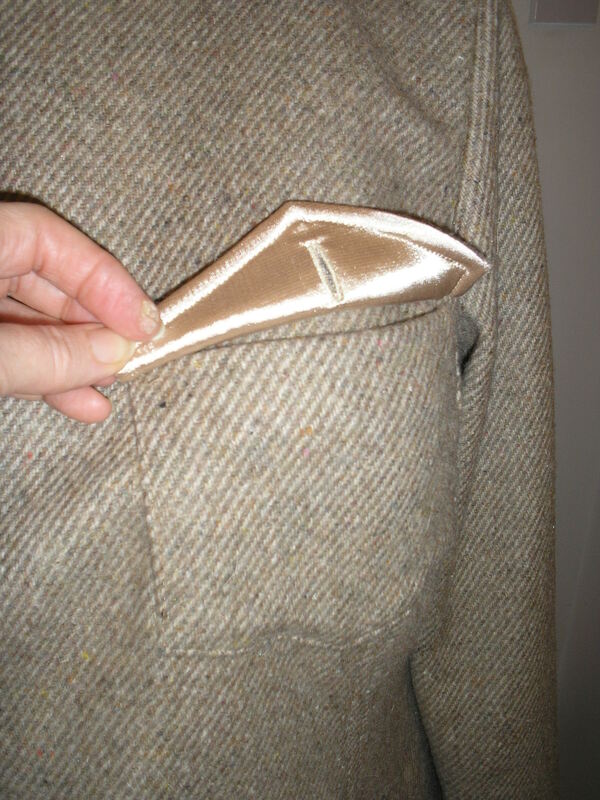 As I am working in a tweed I backed the pocket flap in the satin lining to reduce bulk which I think worked well. 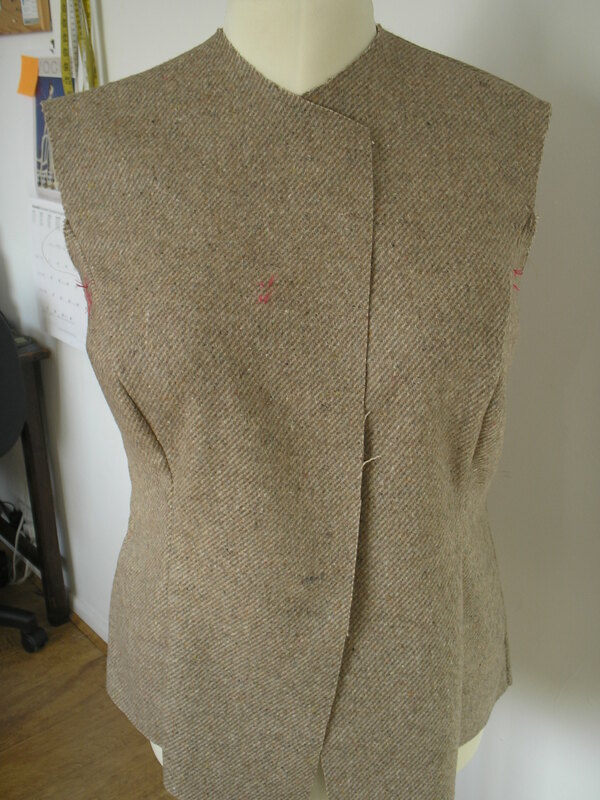 I even remembered to sew the buttonhole before it was sewn to the garment – not rushing does have its advantages. I sewed the sleeves and tried them on my arms as they looked fairly large. I felt they looked a bit ‘flappy’ on my arms so I reduced the circumference by 3cm simply by resewing the underarm seam to 3cm rather than the 1.5 allowed. This looks much better in my opinion. I dislike ‘fat’ sleeves as even if the rest of the garment fits really well they are inclined to make me look larger. I did a little adjustment on the body to comensate for the now smaller sleeve and they sewed into the holes perfectly. My last job was to sew a complete body and sleeves in lining which are to be sewn to the shell of the jacket before the collar and facings. 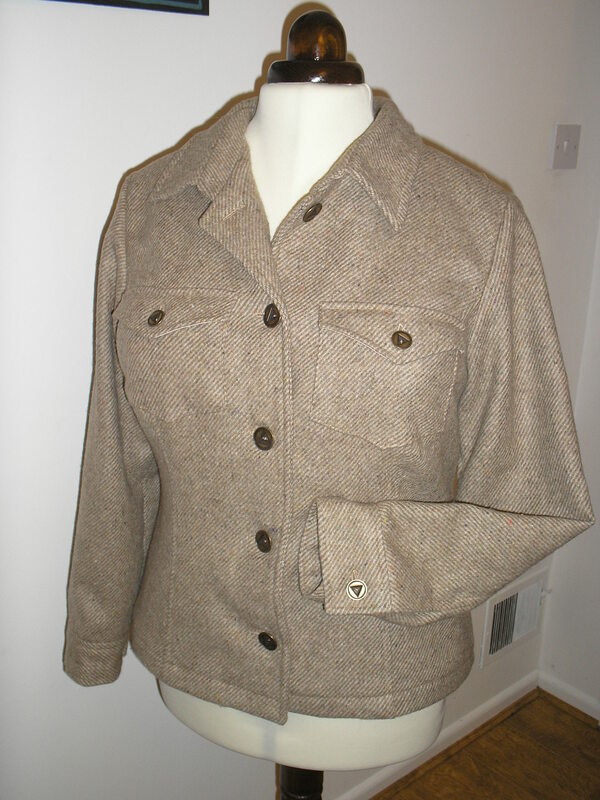 I will try the jacket on before I sew the lining to it to check the finished length is right. 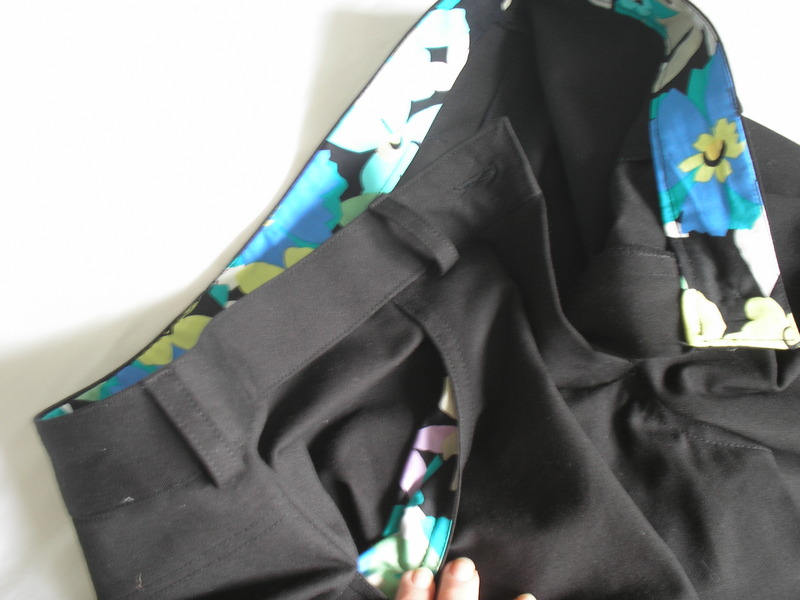 Once I am happy I will machine sew the hem edge, right sides together, which will give a clean finish. I am intending to cut and iron the interfacing to everything that needs it in my time today, and get the collar sewn tomorrow. I have the buttons ready and I am very happy with them. 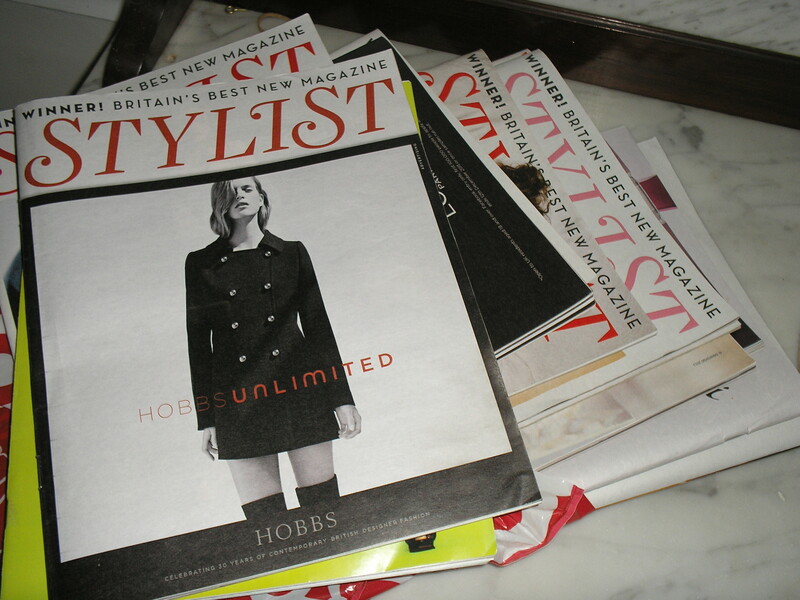 All that stands between me and completion is time – and I am finding that in bits! Following my last post I spent about a week circling the fabrics. I changed my my about which colour velvet to use for the McCalls jacket about every half hour. Eventually I made up my mind. 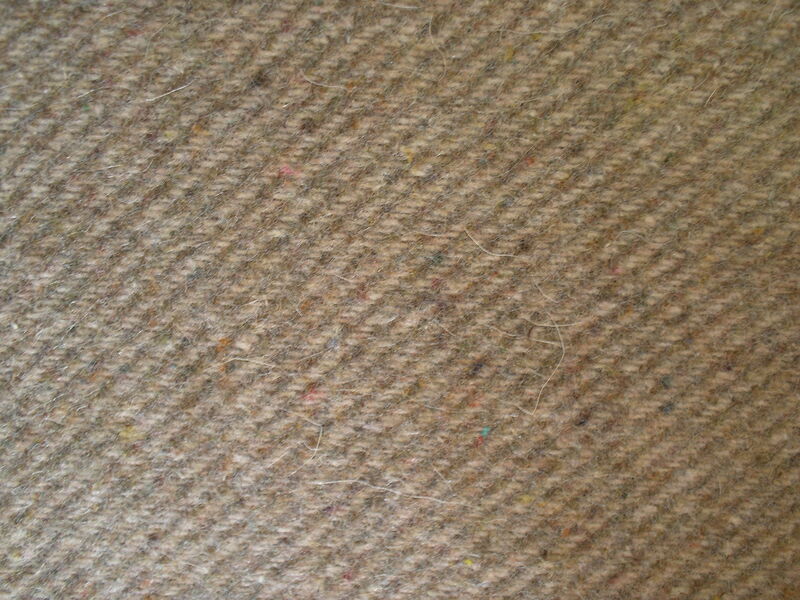 I went for the beige tweed – bet you didn’t see that coming! I checked the wardrobe and decided that if I used the tweed I would be able to use the jacket with stuff I already have. But I still want to make trousers in the almond velvet. Having finally made the choice I prepared my pattern. I hadn’t used a ‘Palmer/Pletsch Perfect Fit’ pattern before so was surprised to find a whole sheet dedicated to preparing the pattern.There was lots of good, encouraging information on the sheet which helps to get the best fit possible. Just follow the words and don’t try to overthink and you will get the desired result. I cut the size 16 and made a full bust adjustment before shortening the body and sleeves a little (I am 5’4″).I was fairly sure that Gigi had mentioned that this jacket was a fairly close fit but I rarely wear thick jumpers with a jacket so I was happy to go with that ( I have checked her blog and can’t see where I saw that – maybe I imagined it!). 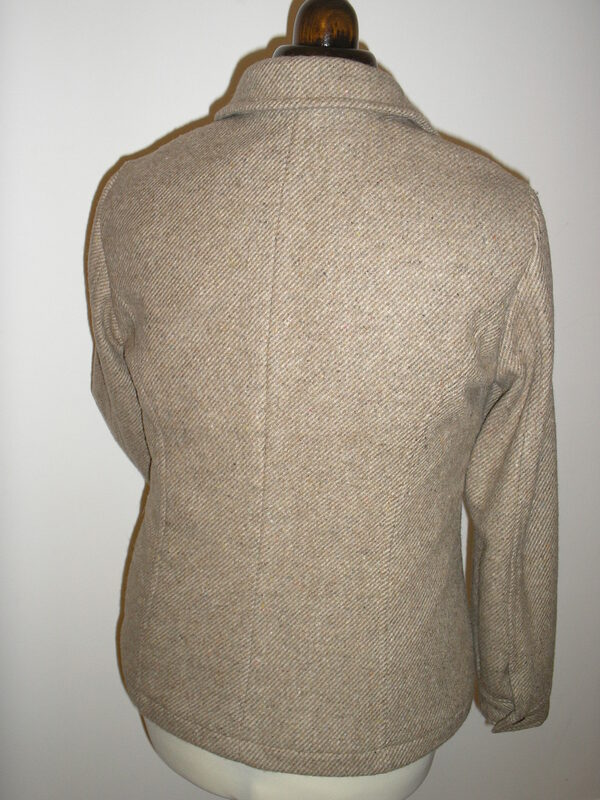 Having sewed the backs and fronts together I can confirm that it is a close fit but I am happy with that. I will be lining the jacket so that it slides more easily over t-shirts etc. and was delighted to find in a little ‘pro tip’ box the instructions for doing it. 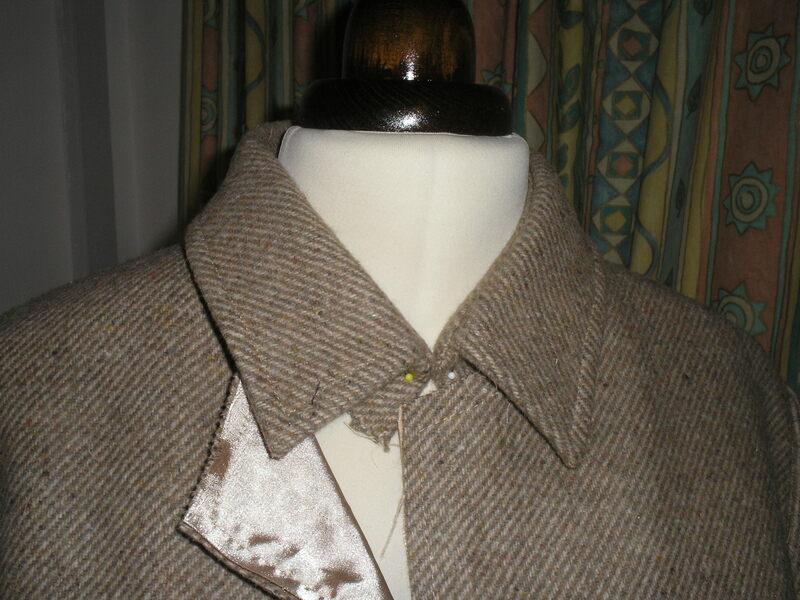 The suggestion is to simply cut the backs, fronts, and sleeves and baste to the jacket before sewing the collar, cuffs and hem Simple and effective. There are a number of these little tip boxes in the pattern which I think is really good. 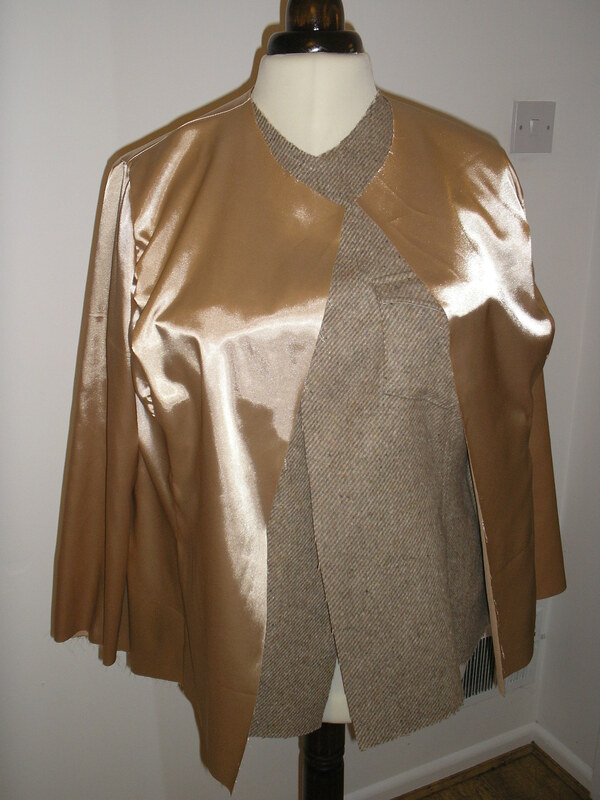 Because I have been very busy with client work I decided to do 1/2 hour at the end of each day to make this jacket. That means it will take a while – but at least it is progressing from the little pile of pieces it has been for about a week. Yesterday I managed to sew the body together to check the fit again and I plan to sew the pocket & flaps, and sleeves today. I will report on progress as I can. As you can see this didn’t get as far as the ironing board before being flung on Bessie to be photographed – I will be pressing the seams before they are topstitched. Hopefully it will look more presentable next time! An apology to Patrones – After reading Melissas blog I realised that the ‘Extra’ issues of Patrones are actually collections of patterns from previous issues (in the one I was referring to they are for the ‘larger lady’). If you are aware that they are published in this way then that is probably the better way to buy these special patterns. Now that I understand I felt I had to apologise for the last comment I made. Edited on 2/12 re Melissas comment: It would seem that SOME paterns are repeated in the EXTRA editions, but some are new. It would seem worth checking contents before purchase if you can.